Short Story for Kids written by: Alexia. It was a given saturday when Jacob decided to be a volunteer fireman. He knew that his parents were not going to agree, because were very ambitious, used to put money ahead of other things. Jacob had a dream and wanted to fulfill it, even though he was not going to earn money. What he really cared was to be supportive and help those most in need. When sunday arrived, the whole family met up to see each other. Jacob had to tell them their decision, waited until lunch time to tell mom and dad, it was quite difficult, but he did it. His parents did not agree his decision. They did not want to accept their only child being a volunteer fireman, he was suppose to be systems engineer to earn lots of money, they did not accept it! Jacob was so sad, he was nineteen and could make his own decisions, but he respected so much his parents opinion. But his parents did not know why Jacob wanted to be a volunteer fireman, there was something that Jacob could not get out of his head. When he was ten, saw the house in front burning down. Saw a fireman risking his life, and wanted to be a volunteer fireman since then. 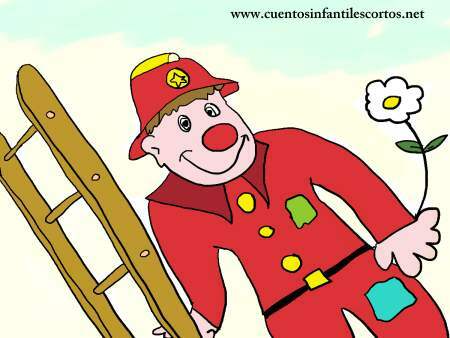 One morning, his father talked to him and said that he could be a volunteer fireman, but without having their support. Jacob accepted in spite of not being agree. Then, his mother went into his room with his breakfast and asked him why did he want to be a volunteer fireman, Jacob told her. She was crying and said that they were going to support him always; she had realized that it was her son´s dream, so they supported him. Jacob´s parents were more proud of him each day due to the important work he was doing.